We understand that our main customer concern is that the magnets will not be strong enough to hold up your prized knife collection. how do i put it up? Every purchase comes with a set of instructions specifically made for this product. We recommend wiping with a microfibre towel. it shouldn't get dirty, if your knives are clean. Our strips have strong strips running through the whole surface, not just the edges to prevent any spinning. 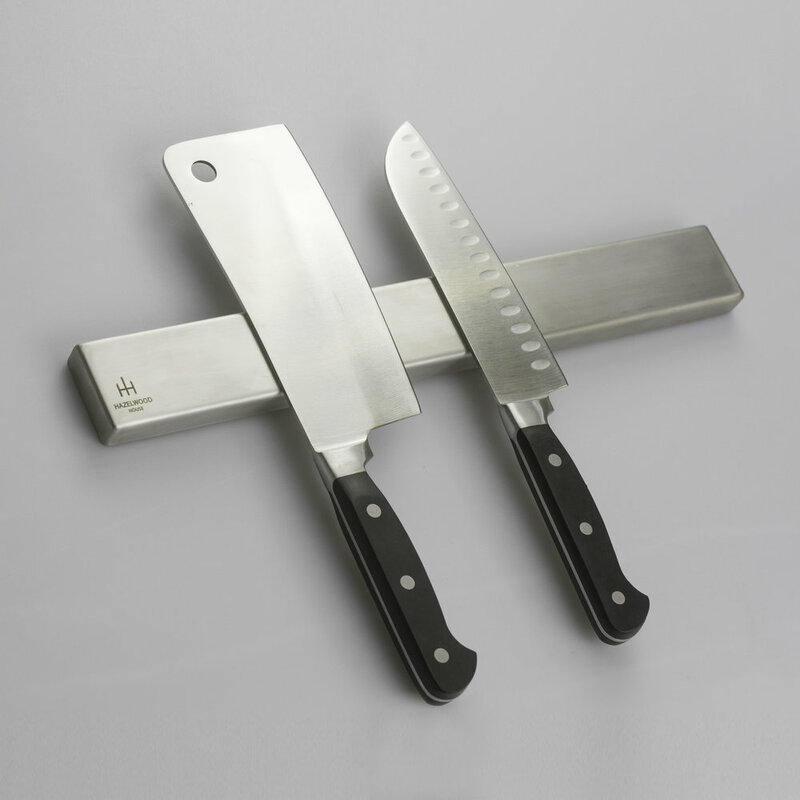 Knife Strips are designed to have the handle hanging underneath this will prevent it from unbalancing. what can i mount it to?